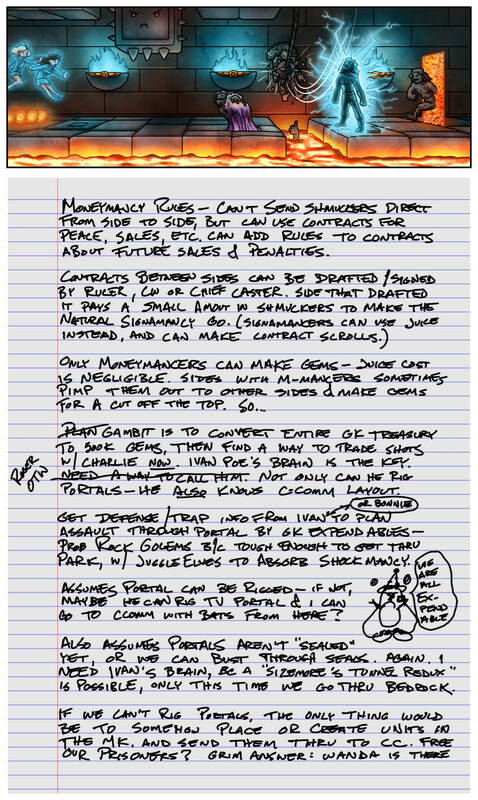 Moneymancy rules – can't send shmuckers direct from side to side, but can use contracts for peace, sales, etc. Can add rules to contracts about future sales & penalties. Plan Gambit is to convert entire GK treasury to 500K gems, then find a way to trade shots w/ Charlie now. Ivan Poe's brain is the key. Roger OTW Need a way to call him. Not only can he rig portals – he also knows C-Comm layout. Get defense/trap info from Ivan (or Bonnie) to plan assault through portal by GK expendables – prob Rock Golems b/c tough enough to get thru park, w/ Juggle Elves to absorb Shockmancy. 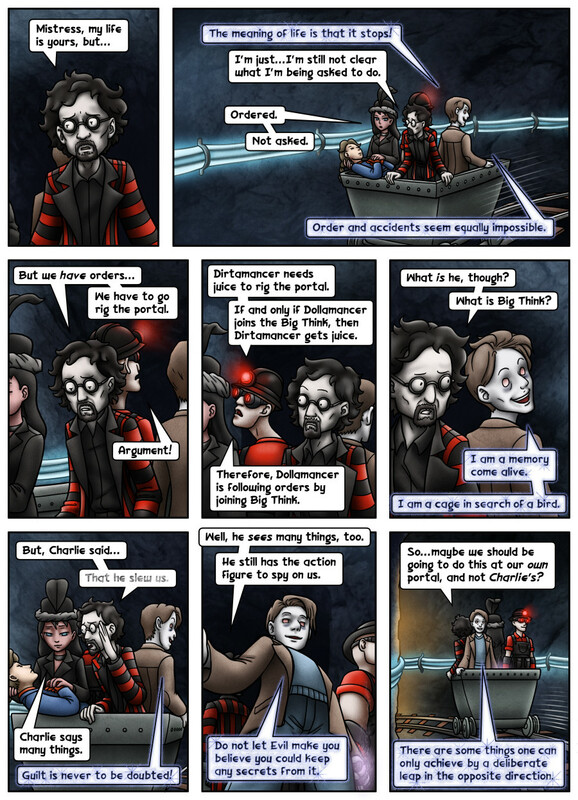 Assumes portal can be rigged – if not, maybe he can rig TV portal & I can go to CCom w/ bats from here? Also assumes portals aren't "sealed" yet, or we can bust through seals. Again, I need Ivan's brain, bc a "Sizemore's Tunnel Redux" is possible, only this time we go thru bedrock.